BBC News World: Catalan leaders seek independence vote, legal or not, by Paul Mason Includes video report. "I ask [Oriol Pujol], point blank if the region will call a referendum in defiance of the national courts and constitution. "There will be no way to avoid it. If we don't deliver it someone else will. More radical parties. But in a negotiation," he smiles, "it's not the best thing to reveal what you are going to do next."" "After 17 minutes and 14 seconds of Sunday's "El Clasico" encounter with Real Madrid, Barcelona fans will offer a vocal demonstration of why the club's motto is "mes que un club" -- more than a club. The team's Nou Camp stadium will erupt with the sound of the Catalan national anthem, sung in the language native to this semi-autonomous region of Spain." "But there is much more history off the field. I explain the political aspect and the connections to the Spanish Civil War in more detail in my story in this week's Sports Illustrated magazine, but it's fair to say here that for many of the seven million Catalans, Barça is a leading symbol of Catalonian identity and the desire for independence from Spain. Meanwhile, for millions in the rest of the country, Real Madrid is a leading symbol of Castilian Spain, a team that was the favorite of the former Spanish dictator, General Francisco Franco, and a triumphant face of the country to Europe going back to Real Madrid's five straight European Cups in 1956-60." "Barcelona could register with another regional federation or they could simply ask for special dispensation – Andorra, after all, play in the third tier of Spanish football. Such moves would probably not be vetoed by a league that needs the appeal Barça brings. And if there was resistance Ligue Une might see the chance to boost its revenue, Barcelona being as near to Paris as it is to Seville." 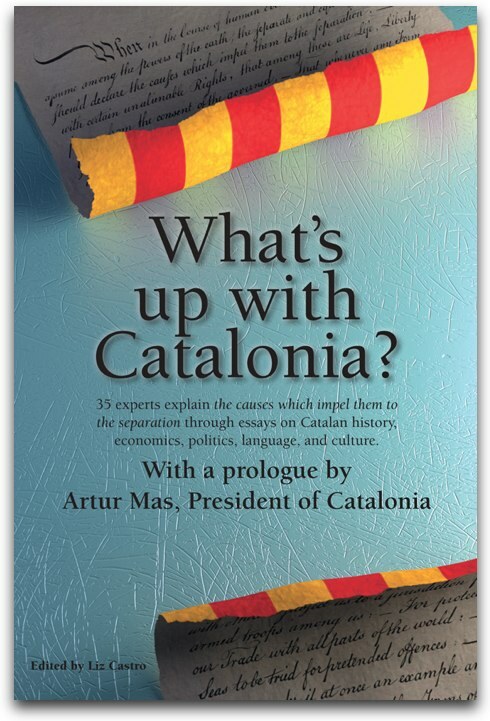 "Talk to people in Barcelona, the main city of Catalonia this week, and pretty much all you get is history, with a dash of soccer and a side order of economic crisis. Yes, unemployment is terrible, but what fills the newspapers and discussion at the city's tapas bars is the question of Catalonia bidding for independence from Spain." "It would be absurd to be based in a country that had a different language, Catalan, as its official tongue." "In front of a television audience of some 400 million people, nearly 100,000 voices in a sold-out Camp Nou are set to bellow "Independence! Independence!" at two carefully co-ordinated moments during the match." "Having Madrid as the tax collector redistributing to Barcelona and Valencia is cumbersome and provocative. The country’s new high-speed trains are impressive, but it’s striking — not least to Catalans — that all lines lead to Madrid. " "On top of the economic crisis, he must now confront an unexpected constitutional one. Mr Rajoy’s attempt to rein in spending in Spain’s highly autonomous regions, which provide big-ticket services like health and education, has rekindled nationalism in Catalonia"
""These kinds of careless remarks undermine everything democrats have fought for over the past 60 years and have no place in today's society."" "One senior European source said the plan could cost about 50 billion euros ($64.5 billion) for a year. It would enable Spain to cover its full funding needs and trigger potentially unlimited European Central bank buying of short-term Spanish bonds in the secondary market." Will_1981 kindly found the audio from De Guindos' presentation. If anyone listens long enough to find the good bit, please let me know what time it occurs.